When prospective clients approach us, they’re often stuck on choosing between framed vs frameless sliding glass doors for their patios or terraces, or for their open plan home designs. Modern home design has evolved from traditional window and door systems to systems which, in addition to serving traditional purposes of security and protection from external elements, also enhance the living space in terms of maximizing natural light and energy efficiency. Sliding frameless glass doors are the preferred choice for clients who wish to take advantage of a gorgeous view or wish to make their space more adaptable. But, the question of choosing between framed and frameless sliding doors can be answered by looking at each of these systems in comparison with each other. One of the key considerations between frameless and framed sliding glasses is the gorgeous views afforded by the ceiling-to-floor length glass. However, the difference lies in the fact that with frameless sliding glasses, your clients will have a view that’s unhindered by vertical frames. Even with the doors closed all through, their line-of-sight will always remain clear. This is because, the glass panels interlock with each other tightly when closed, keeping inclement weather at bay, and a gorgeous view intact. Both framed and frameless glass doors are chosen primarily because of their ability to maximize the use of natural light in the room, allowing customers to rely less on indoor artificial lighting. Both systems use industry-standard, low-e glass as recommended by state guidelines. However, frameless glass windows are slightly more efficient, primarily in terms of the amount of light they let in regardless of whether they’re open or close, while framed glass systems are limited by the frames around the glass. 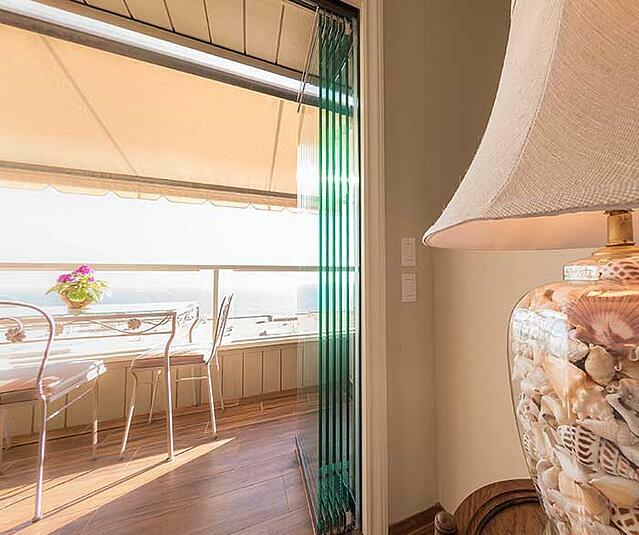 The operating mechanisms of framed and frameless sliding glass doors determine their ventilating capabilities. 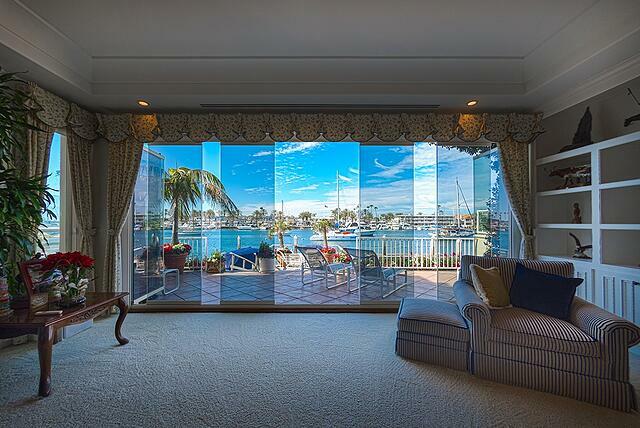 Framed folding glass doors use hinges between adjacent panels to create the stack when they’re opened. This limits the amount of ventilation they can provide: since the panels are interconnected, there’s a limit to the number of ways in which they can be opened or stacked. However, with frameless sliding doors, each panel can slide independently on the track, giving your client more flexibility in the clearance space. They can slide one or more panels completely to the side and then slide the remaining panels to create gaps between them to let in just the right amount of air for their needs. The thickness of the stack created by the panels when the doors are fully opened is another consideration when choosing between these two options. With framed glasses, the thickness of the stack is determined by the thickness of the frame, which can limit accessible space in the doorway depending on the number of panels in the door. On the other hand, the frameless stack is only limited by the thickness of the glass - about 1 inch per panel, which makes for a thinner stack compared to its framed counterpart. Both frameless and framed glass windows require regular maintenance to keep them running smoothly and noiselessly: this includes regularly lubricating the tracks and wheels and cleaning the glass panels with mild cleaning solution. However, given their construction, framed glasses may need a little more work than frameless glasses, if you factor in maintaining the frames and the interlocking (hinges) between each panel. 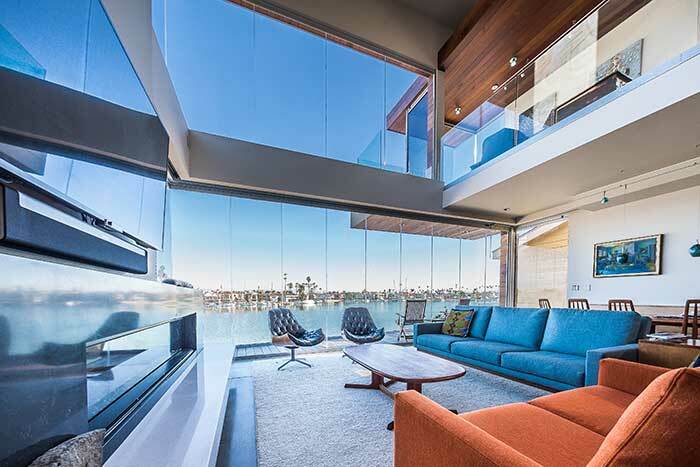 Since the trend of blended spaces and open plan homes are on the rise, so is the popularity of sliding glass doors that can be used to implement flexible living spaces in modern homes. A key aspect of these trends, however, is the seamlessness between the spaces that create the illusion of a contiguous open space. In that respect, the lack of vertical frames in frameless glass doors lends more to the feeling of contiguity than a framed sliding glass door would, especially when they are closed. 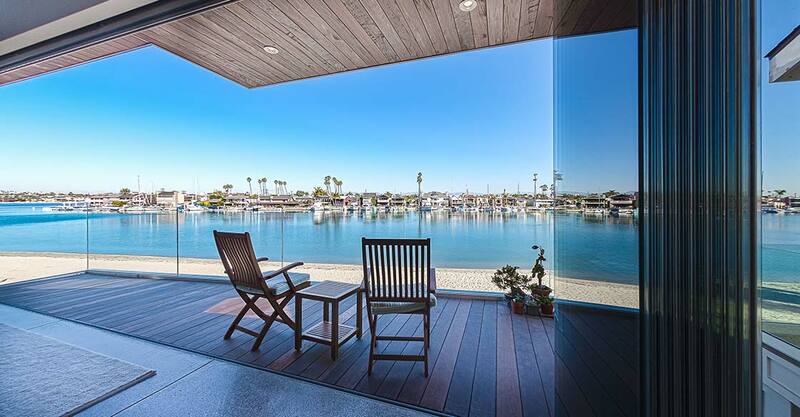 If your clients own a beachfront home or a home that’s located in a picturesque site, convince them to capitalize on it by investing in a frameless sliding glass window system that will not only enable to enjoy an uninterrupted view, but can also add incredible value to their property.